Combine the Du Chocolat, coconut oil, almond butter and desiccated coconut in a bowl and mash with a fork until combined. 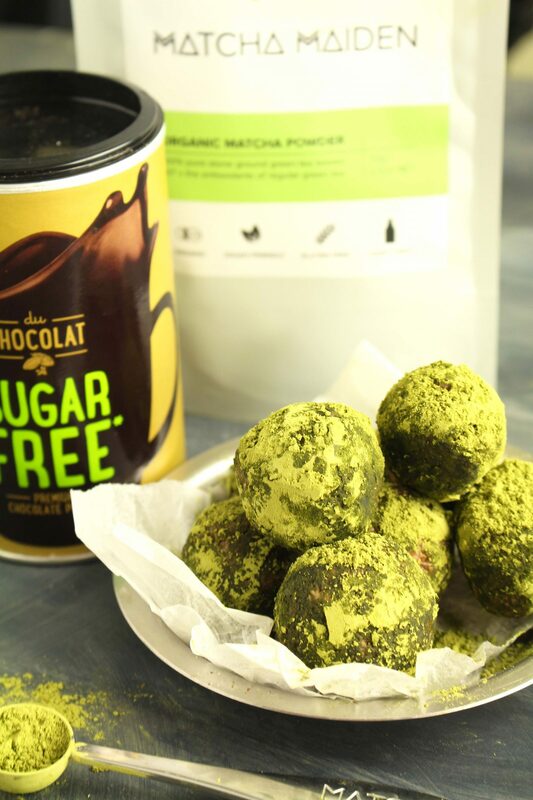 Roll into balls and roll in matcha powder. Place in the refrigerator to set for 20 minutes. Sprinkle with extra matcha to serve.